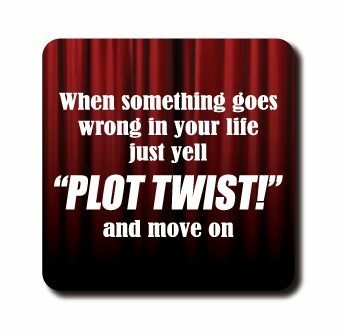 When something goes wrong in your life just yell “PLOT TWIST!” and move on. Life Humor Magnetic Quote M-15-0002 are made of 100% recycled materials and made right here in the United States. Enjoy brilliant colors and designs with inspirational, comical, sports related and religious quotes to fit every life event. Perfect for gift giving, stocking stuffers, teacher gifts and even kitchen or workplace decorations. These thick strong magnets are measure 3.5″ x 3.5″ and are shipped in unique gift sleeve.